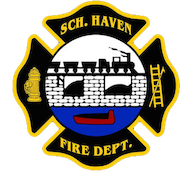 October 30, 2010 – At 16:18 the Schuylkill Haven Fire Department was dispatched to 537 Parkway Ave. in the borough for a house fire. As Chief 724 (Moran) became en-route SCCC advised of a kitchen fire. Crews arrived on scene and knocked down the fire using extinguishers and checked for extension using Thermal Imagery Cameras (TIC). PPV fans were also used to ventilate the structure. All Schuylkill Haven units remained on scene for approximately 30 minutes and were cleared by Chief 724.